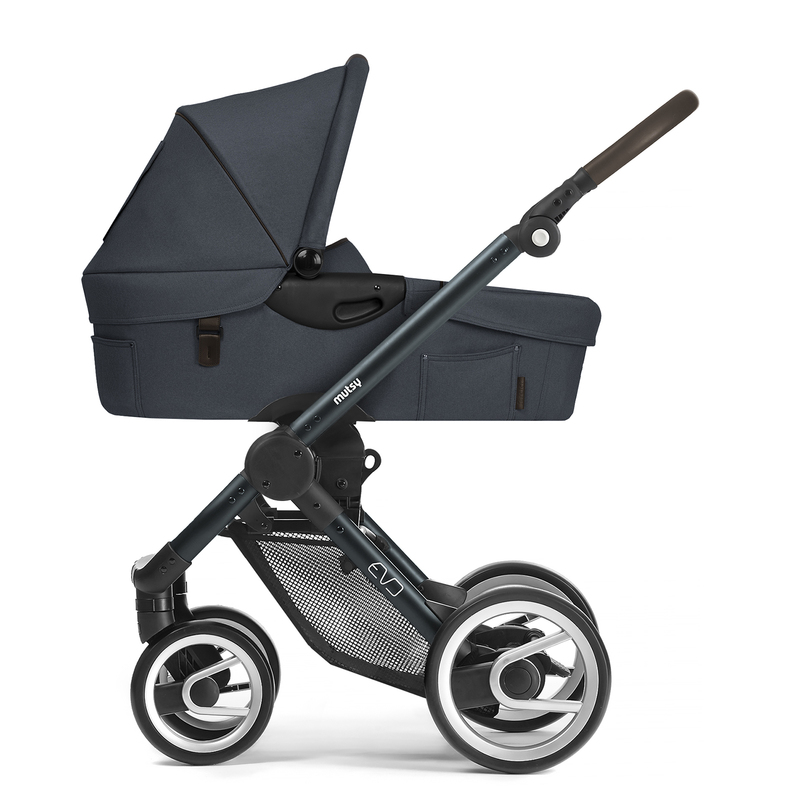 The Mutsy Evo combines class, safety and outstanding performance for a pushchair that is agile, nimble and that glides along effortlessly for supreme comfort for both parent and child. 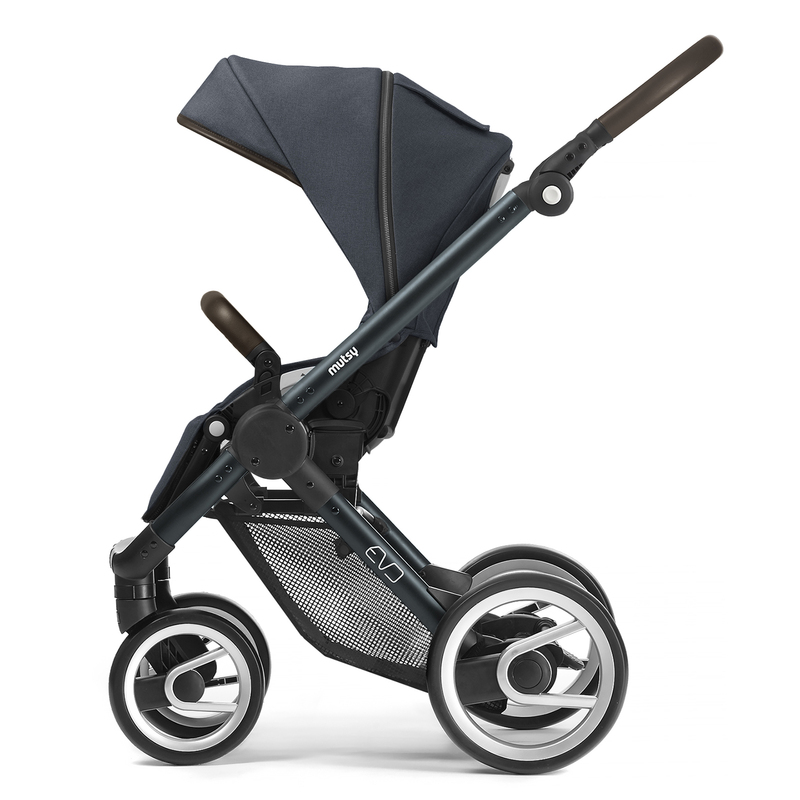 At home in the city or out in the countryside, the Evo features 360° front swivel wheels that are conveniently lockable for longer distance strolling, for an easy ride across sand or for adventures through the forest. 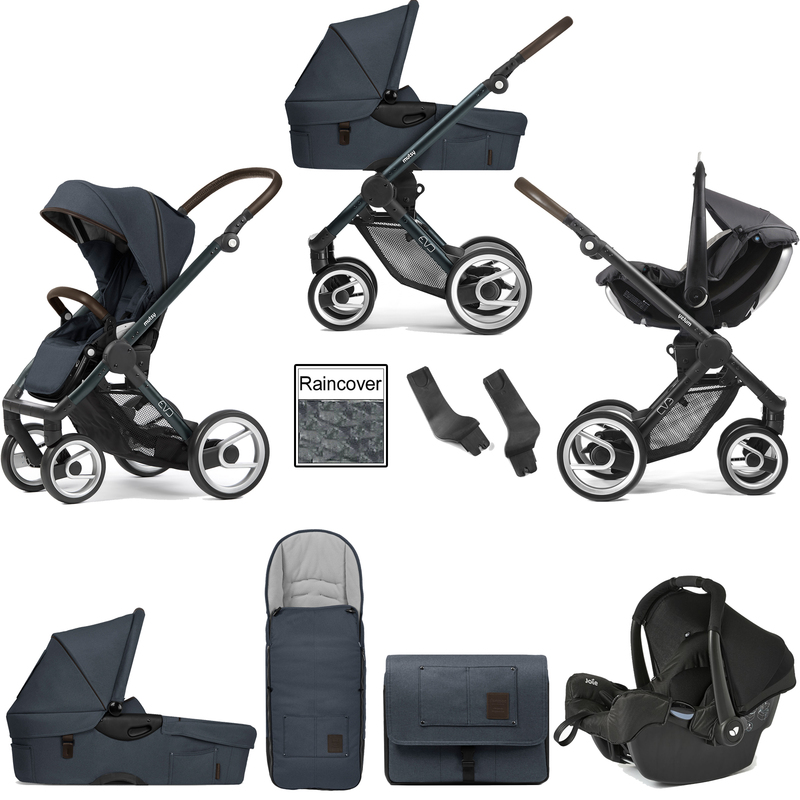 The lightweight yet durable frame can accommodate different elements such as the carrycot, seat unit (which can be attached in either direction) or car seat (all included). 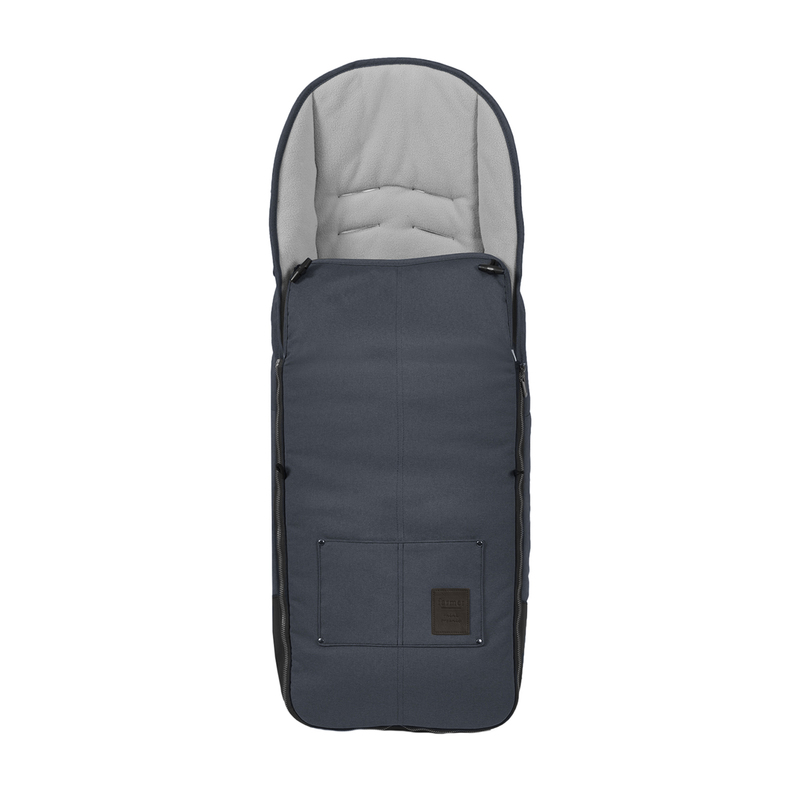 When in pram mode (carrycot attached) the Evo is ideal for newborns as it provides a cosy and spacious lie-flat environment and features a breathable mattress and a large canopy, which protects children against wind and weather. The Evo carry cot can be removed from the frame quietly in one flowing movement without having to wake your child. 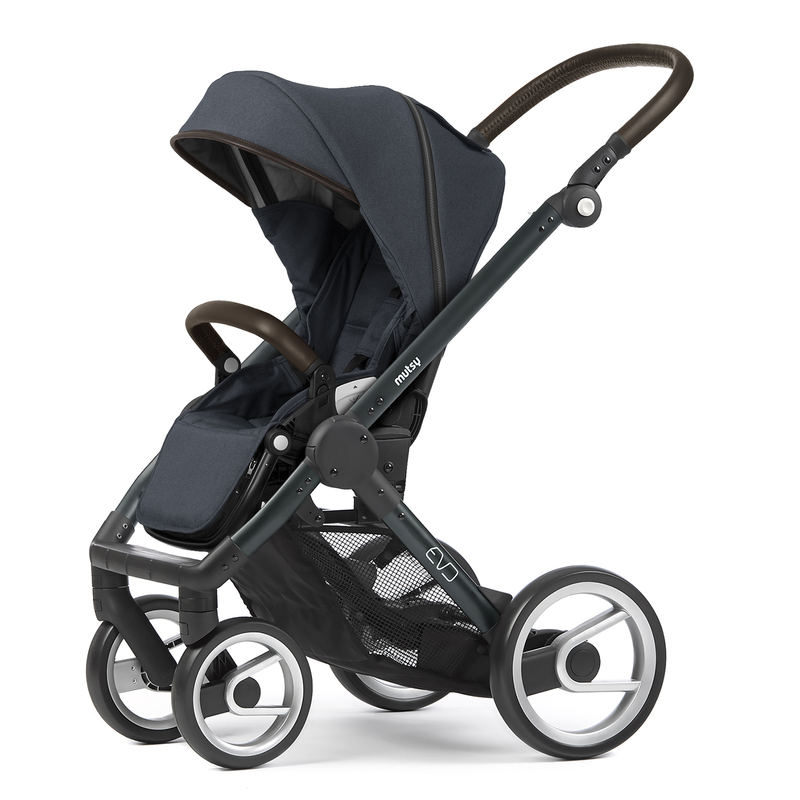 When you require to use the Evo as a pushchair, the fully adjustable seat unit can be positioned in 2 directions (front facing and parent facing). 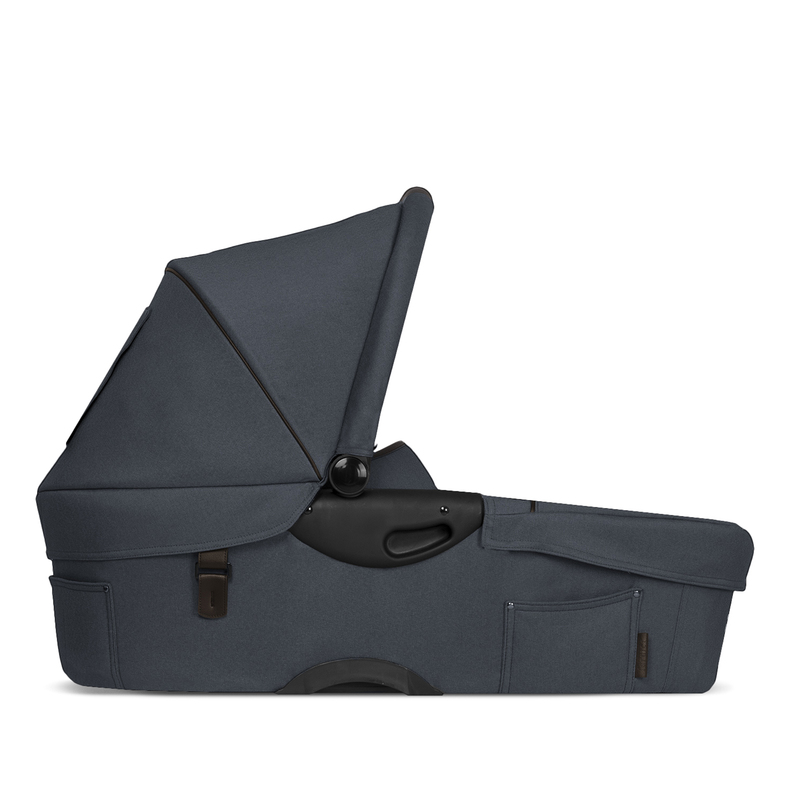 The reline of the backrest can be set to a flat position so that children can sleep comfortably, and the expandable canopy can be used to provide further protection. Lightweight in design, the Evo is easy to carry and transport and can be folded to an extremely compact unit that fits easily into any vehicle. 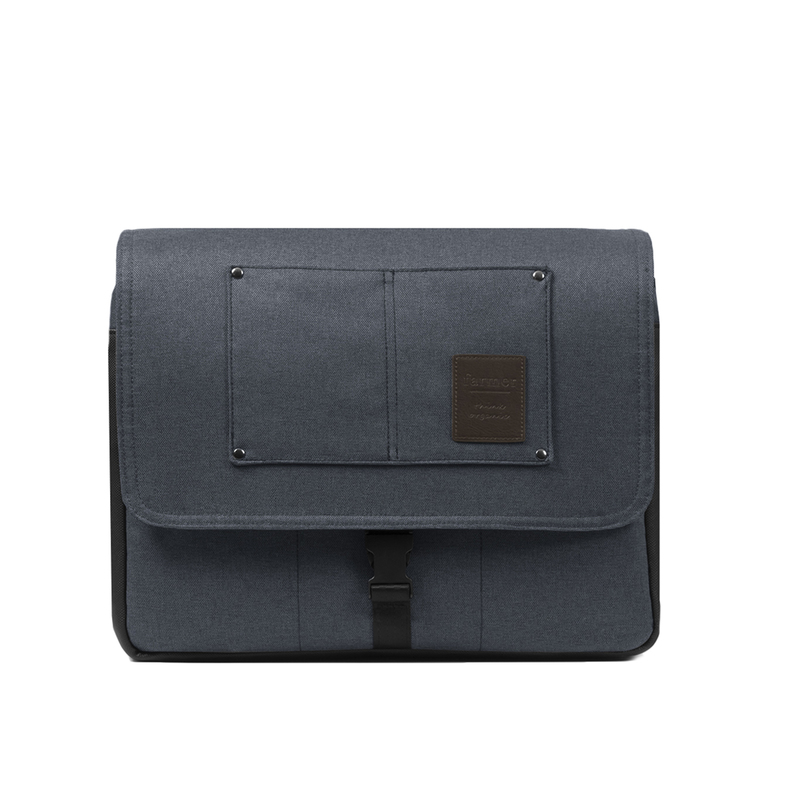 Also featuring a large shopping basket, footmuff (with microfleece lining), changing bag and 2 raincovers; the Evo has got you covered! 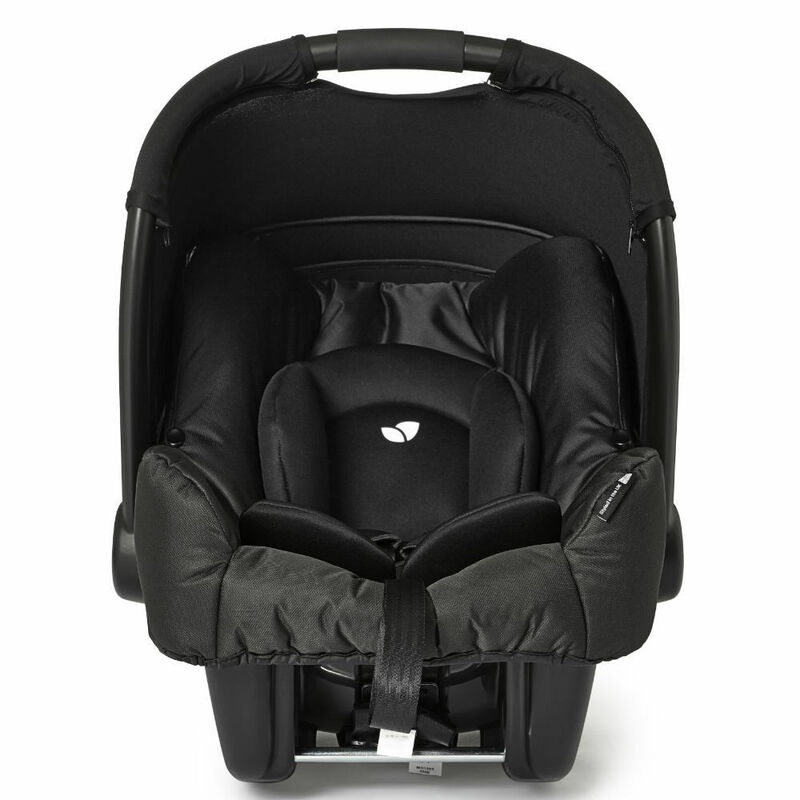 Also included, comes the Joie Gemm 0+ Car Seat which offers impressive side impact protection, and wrap around coverage for the head and upper body. 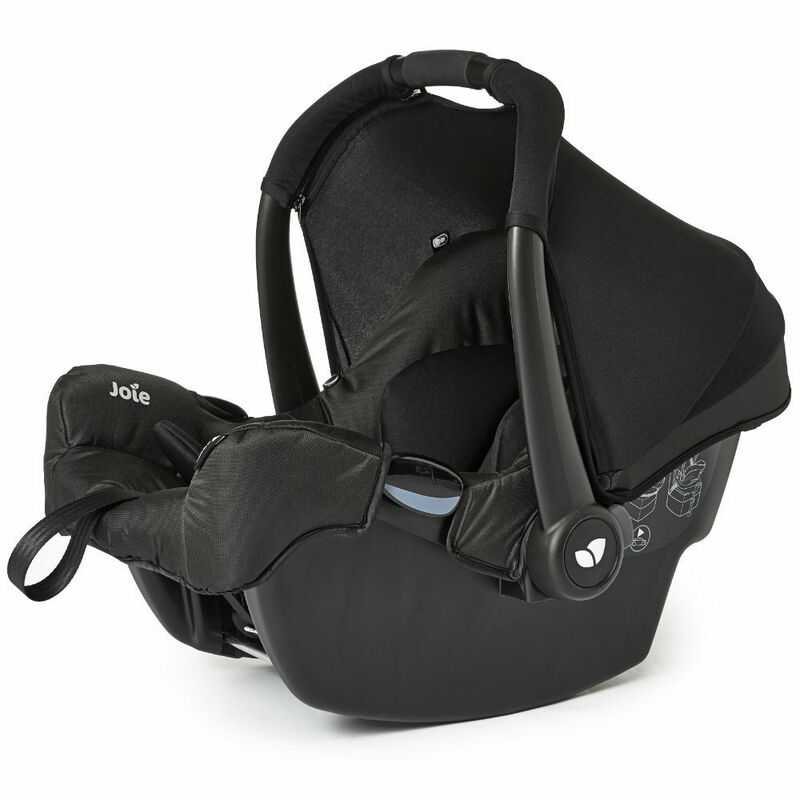 The 5-point safety harness keeps the torso positioned safely in the middle of the seat at all times and the (removable) newborn pillow provides a perfectly snug fit for younger / smaller babies. Conveniently attaching to your Evo stroller with use of the Maxi Cosi adapters, the car seat allows you to transform your buggy into an awesome travel system. Please note: The image of the car seat on the frame is for illustration purposes only.